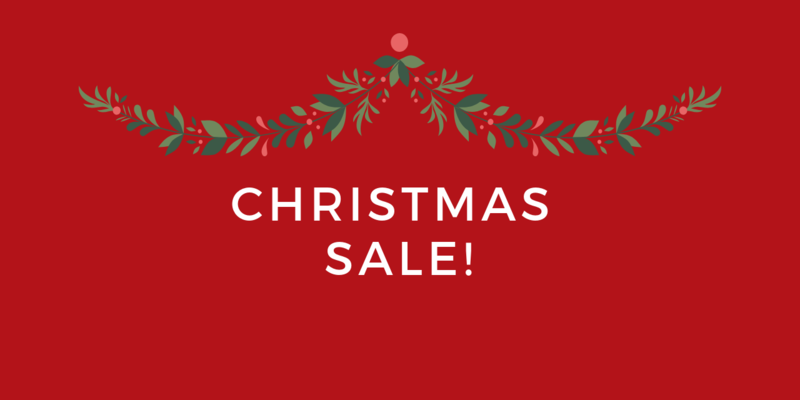 Home » Blog » Storewide Christmas Sale! Pssst . . . Our storewide Christmas sale begins TODAY! If you are looking to check off a few loved ones from your Christmas list (or treat yourself! ), we are excited to announce that almost everything* in our bookstore is 25% off! Just fill up your cart with your goodies and use coupon code GB2518 at checkout. We’ve never had a sale like this before and this whole coupon code stuff is new to us. 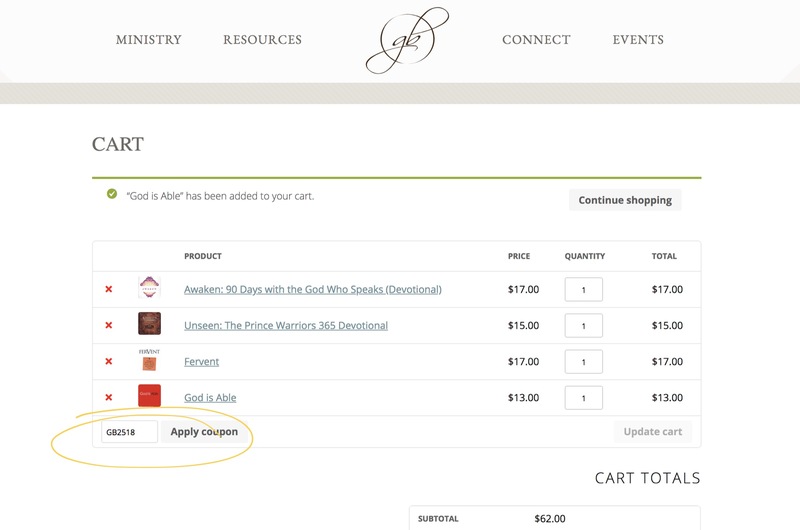 So, if you’ve filled up your cart and you’re wondering where to add that nifty code, wonder no more . . .
Just be sure to click on “Apply coupon” after you’ve entered the code. *EXCLUSIONS: I know, I know . . . we said “everything” but there’s always that pesky fine print when it comes to all this fun stuff. Please note, this sale excludes all Bible study workbooks and leader kits. Everything else? Have at it! LOOKING FOR THE BOOKSTORE? Scroll to the top of this page and click on the “Resources” tab. Or click here to be taken to our homepage and then click on the “Resources” tab at the top of the page. If you’re on your mobile device, scroll to the top and look for the three horizontal lines at the top left of your screen. PLANNING TO PLACE AN ORDER? The 25% off sale will end on December 19th at 3pm CST. We will be closing our office shortly after so that our staff can spend time with their family and loved ones for the holiday. You’re still welcomed to shop but please know, orders placed on our site anytime after 3pm CST on WEDNESDAY, December 19th, will be processed on Wednesday, January 2nd when we return.